An historical update from Bob Greenhalgh. 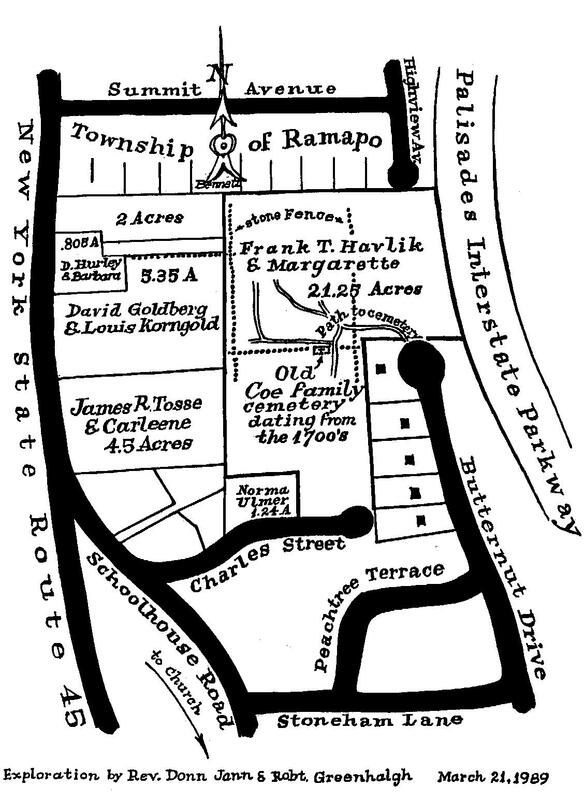 Did you know that New Hempstead Presbyterian Church has a cemetery associated with it? 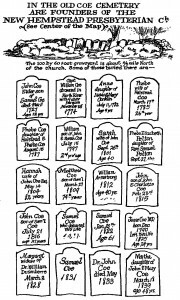 Many of the church founders from the 18th and early 19th centuries are buried in a small cemetery not a mile away from the church. This is a map of the area drawn from when The Reverend Donn Jann (a former pastor at NHPC) and Bob Greenhalgh visited the cemetery in 1989. 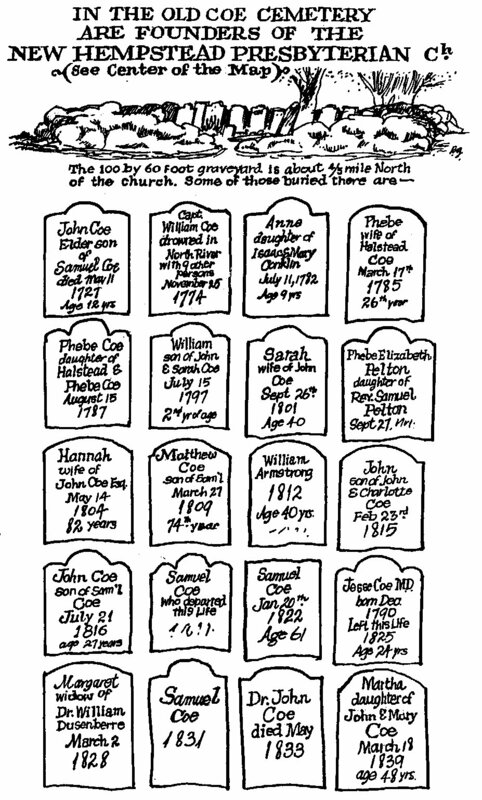 Also shown is a representation of many of the gravestones found at the time. Both are hand-drawn by Bob Greenhalgh.